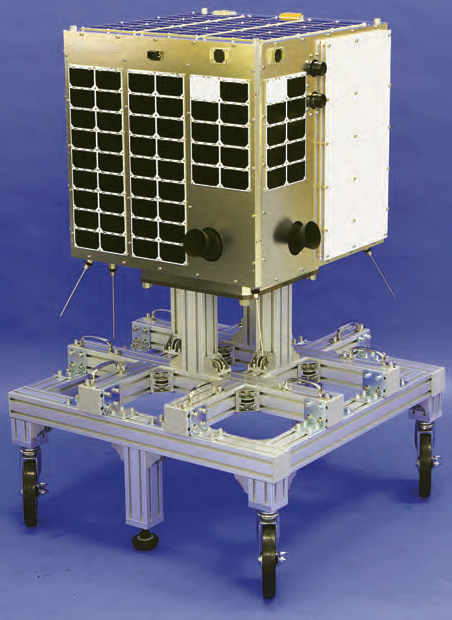 The smallsats defined as CubeSats are now enjoying a golden age in the NewSpace industry; however, the smallsats that are considered microsats that weigh in around 100 kg. are on the rise because of their viable balance between high performance and low cost. Figure 1. Axelspace Team Members. Nowadays, we see quite a few NewSpace startups coming into the industry with various business ideas using CubeSats. Most of them aim for optical Earth Observation (EO) or narrow-band communication business as they require a somewhat simple technology in order to fit into such a tiny spacecraft volume. This volume limit sometimes imposes a big constraint on payloads onboard. Of course, CubeSats should be used if a mission is achievable with that technology and is also viable in terms of business. If that is not the case, however, a compromise must be made on something (perhaps data quality or capacity) to forcibly create smaller payload smaller that can be installed within a CubeSat. Microsats, with the mass of 100 kg., can untie such restrictions. In many cases, it is highly feasible to miniaturize a complex mission payload for accommodation by a microsat. Axelspace is a Tokyo-based microsat startup that was founded in 2008 and aims for the practical utilization of microsat technology. The company vision is “Space within Your Reach,” where the company drastically lowers the hurdles to utilize space through cost reduction and fast delivery for non-space private companies as well as the public sector. The founders of Axelspace are from the University of Tokyo and Tokyo Institute of Technology. While at school, they engaged in several smallsat projects that included the world’s first successful CubeSat that was launched in 2003. Based on that experience, they decided to start the company in order to disseminate the value of smallsats to society. Currently the company fields 66 team members and one-third of them are from other countries. Axelspace enjoys an international atmosphere, which is uncommon for a Japanese firm. Weathernews is the world’s largest weather information company, headquartered in Japan. Due to global climate change, Arctic sea ice has been receding rapidly one result of this occurrence is that new routes are being uncovered by shipping companies. These companies needed a navigation service to uncover safe routes, as large icebergs were present in many of these waters. At first, Weathernews tried to use satellite imagery from existing satellites in order to provide such service to clients; however, it was soon determined to be too expensive. Weathernews decided to develop their own satellite and Axelspace was contracted to build the WNISAT-1. There were few microsat component providers at that time. This meant that most of the components aboard WNISAT-1 had to be developed by Axelspace, which eventually contributed to the current capabilities of the company, although the launch required more time than expected to be completed. The University of Tokyo started the government-funded project, in which four microsats were developed. The main purpose of this project was to demonstrate business using microsats. 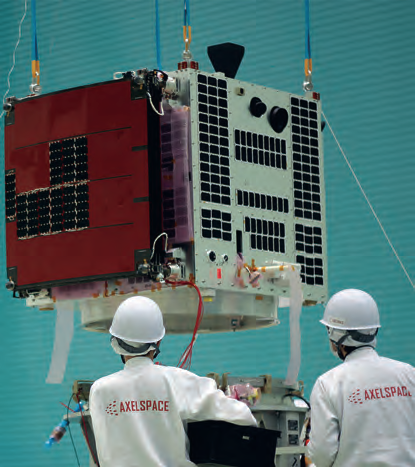 Axelspace joined as a project member and developed the first satellite. “Hodoyoshi” describes the project concept, but this Japanese word is difficult to translate. The meaning is similar to “reasonably reliable,” that is, an attempt to try to balance between cost and reliability. Hodoyoshi-1 is an Earth Observation (EO) satellite and provides images with 6.7 meter ground resolution. 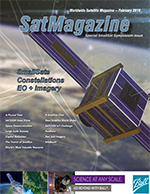 Since launch, the smallsat has been capturing more than 4,000 images and that has successfully raised expectations of the microsat business among potential Japanese clients. WNISAT-1R is the second private satellite for Weathernews. This spacecraft is bigger than the original smallsat in order to accommodate more sensors. The main purpose of this microsat remained the monitoring of the Arctic area and volcanoes and typhoons were added to its monitoring target. In addition, experimental instruments for GNSS reflectometry (GNSS-R) mission and optical communication mission are on board the satellite. GNSS-R is used to estimate the roughness of the Earth’s surface, which can be applicable to the monitoring of ice distribution, even under an overcast condition. 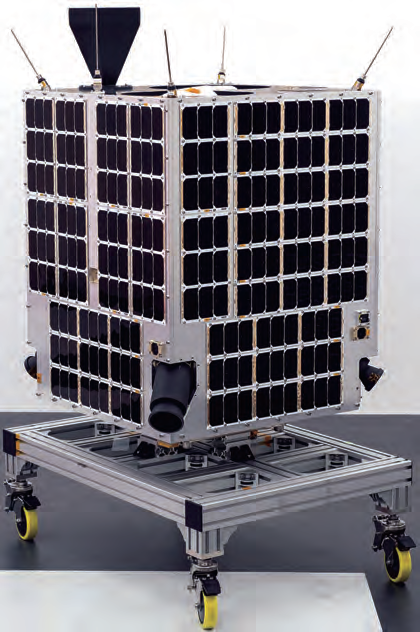 GRUS is the first satellite developed for Axelspace itself. Details to be described later in this article. JAXA designated Axelspace as the contractor of this technology demonstration mission. Axelspace developed the satellite bus system to accommodate seven mission components selected by JAXA. This was the first time JAXA contracted to a startup company, which made big news in the Japanese space industry. The spacecraft will be launched with other smallsats developed by universities and private companies. As a 200 kg. 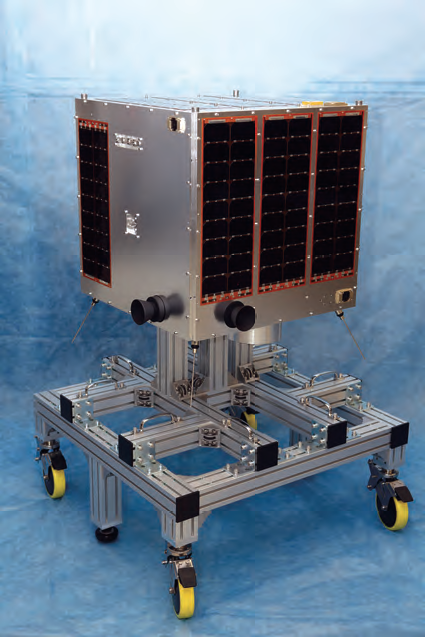 class satellite, RAPIS-1 should probably be referred to as a “minisat” rather than a microsat. 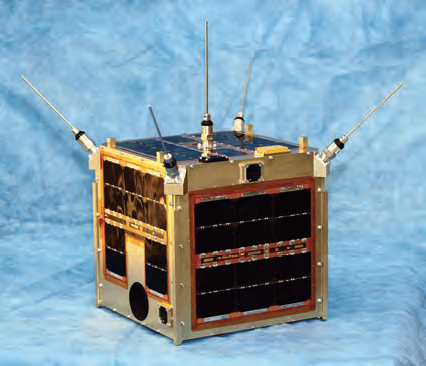 After this satellite’s development, the satellite turned out to be a little too large to realize a reasonable cost. Axelspace is confident that microsats weighing up to 100 kg. can enjoy the best balance between cost and performance. The satellites of Axelspace have been growing in size to pursue higher performance missions based on clients’ needs. The company is able to develop a microsat at considerably lower cost because this vertically integrated company has nurtured original technology from scratch without the influences of conventional methods of satellite development. After being involved in JAXA’s project, Axelspace learned new methodologies and achieved higher quality and reliability while avoiding any significant cost increases. Readers may believe after reading the article so far that Axelspace is a “microsat manufacturer”. Such was true until 2015, when the private satellite market was quite small. As a startup, Axelspace decided to start its own project to disseminate the value of microsats to the industry in a speedier and more efficient manner. In November of 2015, the company garnered JPY1.9B ($17 million) in a Series A funding round — prior to that capital infusion, the company had operated without fundraising from venture capital. It was quite rare back then and this accomplishment became big news in the country. 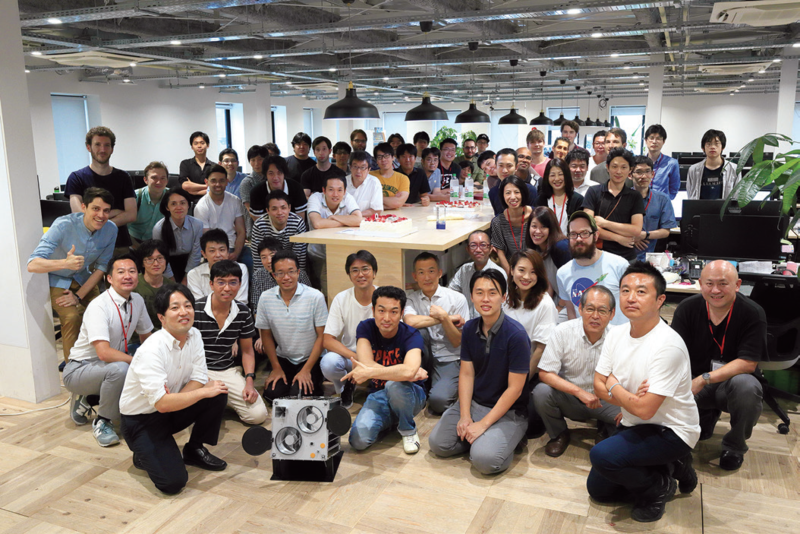 This successful fundraising contributed to various financing arrangements by other space startups throughout Japan. In December of 2018, Axelspace successfully closed their Series B round and secured JPY2.6B ($23 million). As an aside, the investors of Axelspace include blue-chip firms such as Mitsui Fudosan Co., Ltd. (real estate), Mitsui & Co. (trading), Sky Perfect JSAT Corp. (satellite broadcasting and communication) and Weathernews Inc., in addition to venture capital firms. Over recent years, non-space, large business enterprises in Japan have been paying more and more attention to the space business. They are rushing in to invest in promising space startups. The government of Japan has also been actively supporting space startups for a few years. For example, they established “Space Industry Vision 2030” in 2017 to nurture the space industry, with the goal of doubling its scale by 2030. They regard space startups as main players to realize such an ambitious goal and declared full-scale support. Figure 6. RAPIS-1. Image is courtesy of JAXA. Innovation Network Corporation of Japan (INCJ), a government-backed venture capital entity, is a lead investor for almost all space startups in their middle or later stages. Axelspace also accepted an investment of JPY0.6B ($5 million) from INCJ during its Series B round, although INCJ is not the lead investor. The project Axelspace is currently working on with these raised funds is AxelGlobe. As many as 50 microsats will be launched into Sun Synchronous Orbit (SSO), which will enable the firm to monitor the entire world on a daily basis. GRUS is the satellite that will form this AxelGlobe constellation. The name GRUS is the Latin word for crane (bird) and the company’s attempt is identified using a scene of cranes flying in flocks. The ground resolution of GRUS images is 2.5 meters, which is called “mid resolution”. The point to be emphasized is that this is not the technological limitation of a 100 kg. class satellite. GRUS does not pursue very high resolution, say better than 1 meter, on purpose. Instead, the satellite is equipped with two telescopes in order to realize a wide swath of 60 km. This is the reason why even a fleet with a relatively small number of satellites is able to achieve daily coverage of the whole world. Figure 7. 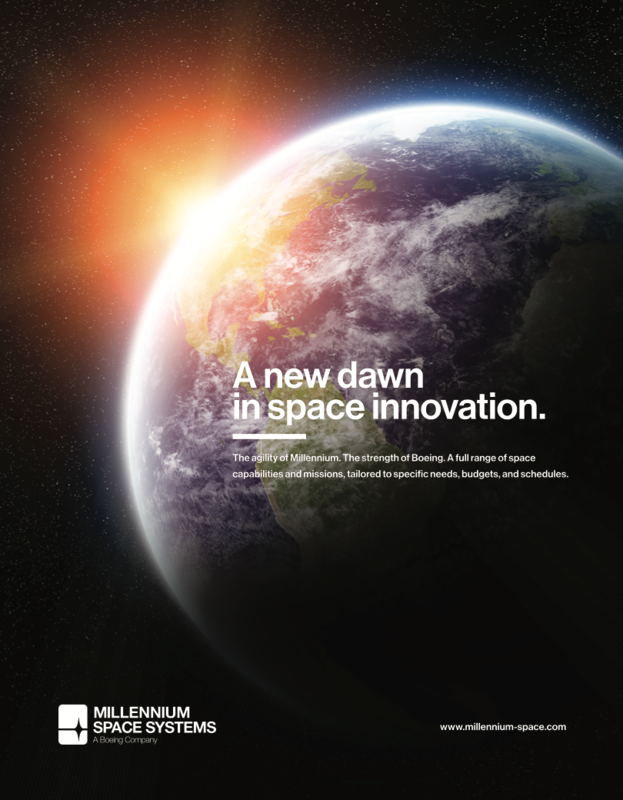 Axelspace closed Series B funding round. Many might believe that high-resolution images would result in greater revenues. In fact, the company notes there are more players entering this market segment with high-resolution imagery; however, there are fewer players with mid-resolution images than previously present. Does this mean Axelspace should seek to offer high resolution images? There are several facts to be aware of before answering that question. The first point, which is disappointing for a startup, is that the high-resolution market is already a “red ocean”. The second point is that such high-resolution images are mainly for national security or military use. At least in Japan, the businesses dealing with high-resolution satellite imagery are restricted, to some extent, by government regulation. How about selling data to non-military clients? Then the next question comes up — can the company compete with drones? After exhaustive consideration, Axelspace decided not to do so. The company should do what can be accomplished only from space, as the firm is spending enormous amounts of money launching satellites into orbit. Pursuing larger area coverage and higher monitoring frequency, while sacrificing ground resolution, seemed the best fit and that was the solution Axelspace reached. Covering the entire world on a daily basis is impossible for drones to accomplish. 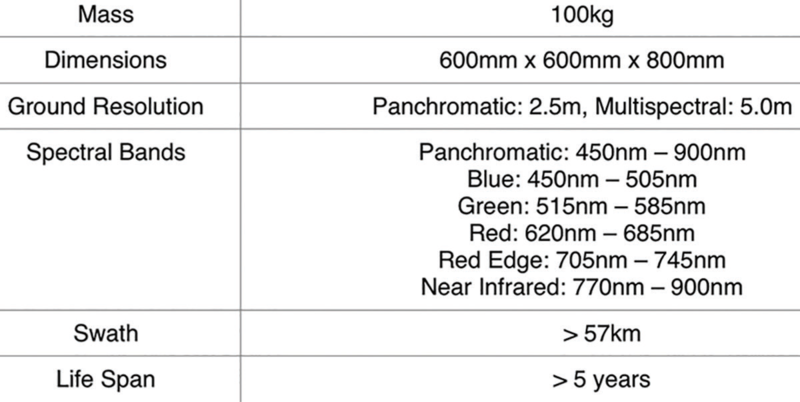 The table above shows the main specification of GRUS satellite. One important feature of AxelGlobe is that all GRUS satellites are to be placed in a single orbital plane. That allows the company to capture all of the images at approximately the same local time anywhere in the world and that will deliver the uniform sunlight condition across all images acquired from the constellation. That is more important than perhaps expected, as the image analysis will be performed mainly by machines. Imagine — Axelspace compares two images acquired at the same location; one was captured at 9:00 a.m. on a certain day and the other image was taken at 4:00 p.m. on a different day. The direction of cast shadow must differ between two images. Table 1. GRUS main specifications. It is easy for humans to understand that it is a meaningless difference in terms of extracting some business insights from this comparison. For machines, however, things are completely different. The machine needs to be “taught” in order to understand that this type of difference should be ignored, and that is highly inefficient. It is never realistic to analyze image data with the human hand because the data amount to be acquired annually from the constellation will reach as much as several petabytes when complete. Taking this into consideration, Axelspace’s remote sensing experts and deep learning engineers are deeply involved in the development of the platform for data distribution and image analysis. 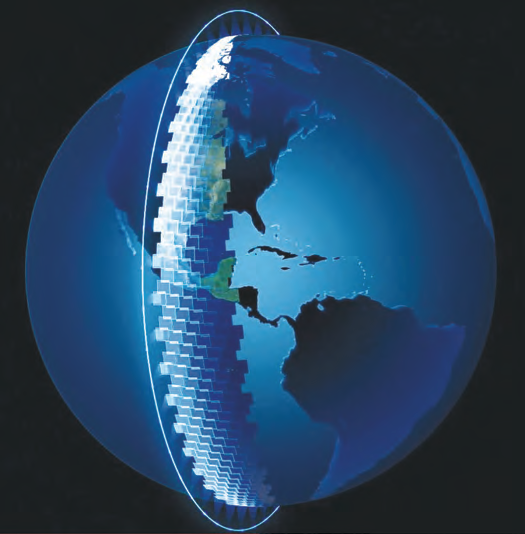 Data from the AxelGlobe constellation will grow in popularity across a wide range of industries as a unique data source. However, its use may not expand that much while the number of satellites on orbit is small and the data accumulation is not adequately robust. Even so, AxelGlobe has received interest from governments and well-established companies around the world. An interesting application is attracting special attention from some potential clients among others: environmental monitoring. More and more companies are forced to prove they are not causing any damage to the surrounding environment. AxelGlobe can be the optimal solution, as the continual monitoring of large areas is required for such an application. On December 27, 2018, the first GRUS satellite was launched by Soyuz. The satellite is in commissioning phase at the time of this writing. The delivery of imagery data is planned for the spring of 2019. Yuya Nakamura is the President and CEO of Axelspace Corporation. He earned his doctoral degree in Aeronautics and Astronautics from the University of Tokyo in 2007. While in school, he engaged in three nanosat projects, including the world’s first successful CubeSat launched in 2003. Yuya has also been serving as a member of the Committee on National Space Policy since 2015.